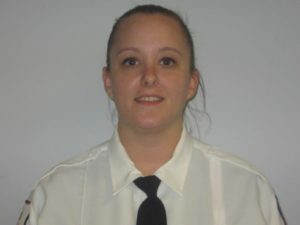 Andrea began her career in EMS in 2005 as a dispatcher for local Police, Fire, EMS, and Town Services. However, her goal was always to become a Paramedic. Following graduate school, Andrea started her EMS career with a transport company in Woburn, Massachusetts, and completed her Paramedic studies in 2013 with an A.S. in Paramedicine and a certification of NRP. Andrea now proudly serves as a Paramedic for Cataldo/Atlantic Ambulance Service. Born and raised in the City of Newburyport, it has been a lifelong dream for Andrea to serve her community. Andrea’s passion for teaching began in 2015 when she taught her first class for Cataldo/Atlantic. Since then, she has begun teaching at local colleges and to a local police department, where she instructs the officers on how to properly use Narcan. She has repeatedly stepped forward to be a leader in the community; especially in the education of our citizens. Specifically, Andrea conducts courses on opioid overdoses, and has educated thousands of people within the community on the use of Narcan through live demonstrations, classes, and community outreach on cable access television. Andrea has even marched alongside other community leaders in remembrance of those who have lost their lives to drug overdoses. Andrea has proven herself to be a true professional who is compassionate, street smart, and has a true heart of gold. She has a genuine concern for the community and the citizens she serves. Being a Paramedic is not just a job for Andrea, but a passion. From her interactions with survivors, family members, and loved ones, Andrea goes far above and beyond her title of Educator. Andrea’s impact within the community is immeasurable and she truly deserves to be nominated for a Star of Life Award.